Works together on a strictly voluntary basis for the good of the industry. Founded in 1975 the Mortgage Bankers Association of Missouri has been working hard for the mortgage industry for over 40 years. The MBA of MO consists of over 90 membership companies. Cooperating with public and private agencies in the establishment of sound real estate practices, and such other matters as from time to time that may be approved by the Board of Governors. The Mortgage Bankers Association of Missouri consists of the Mortgage Bankers Association of St. Louis and Kansas City. The Mortgage Bankers Association of St. Louis Chapter was founded in 1927. This chapter is the second oldest mortgage bankers’ association in the country. It currently has a total of 45 membership companies. The Mortgage Bankers Association of St. Louis remains an active organization of members in the mortgage banking industry who work together on a strictly voluntary basis for the good of the industry. The Mortgage Bankers Association of Greater Kansas City Chapter was founded in 1974. This chapter currently has a total of 51 membership companies. The Mortgage Bankers Association of Greater Kansas City makes decisions that influence financial markets and trends, builds strong relationships with housing industry professionals, and attends social functions and training seminars. The Mortgage Bankers Association of Missouri holds Board of Governors meetings every quarter. A big part of the Mortgage Bankers Association of Missouri is the monitoring and promoting of legislation affecting the mortgage banking industry with the Missouri legislature. Our association has held a strong presence since the late 1970’s in the Missouri State Capitol and every year we offer a Mortgage Bankers Association of Missouri Legislative Day at the Capitol. Open to the entire membership of the Mortgage Bankers Association of Missouri, the day typically consists of meeting key legislators on the banking committees, leadership of the House and Senate, touring the Missouri Capitol and attending House and Senate hearings. This event also provides a time for networking among the membership as members from both sides of the state attend. Our Annual Day at the Capitol is Wednesday, February 13th, 2019. The local chapters of the Mortgage Bankers Association of Missouri hold monthly luncheons and events. Visit their websites for more information. The Mortgage Bankers Association of Missouri, together with Arkansas, Mississippi and Tennessee Mortgage Bankers Associations, is hosting the MBA Great River Conference. 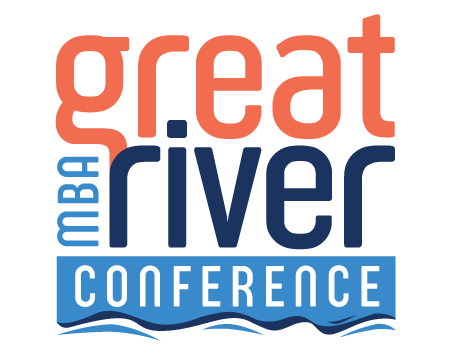 Follow the link below to register and for the latest updates regarding the MBA Great River Conference.